Houses, businesses, schools, churches, government offices – the destruction caused by Harvey and the bill to fix it all keeps adding up. Local governments grappled Tuesday with the staggering costs of responding to and cleaning up after Hurricane Harvey, a trifecta of wrecked infrastructure and damaged buildings, around-the-clock overtime for rescue and recovery and a massive, escalating cleanup effort to bring the Houston area a semblance of normalcy after days of chaos. City and county officials could not provide complete estimates of the impact to their coffers from Harvey’s wrath – crews still were inspecting buildings Tuesday and workers logging 120-hour weeks walking door-to-door across Harris County’s nearly 1,800 square miles to survey the widespread devastation. Amid the uncertainty, officials agreed that even for a government apparatus well-versed in weathering and recovering from severe storms, Harvey’s damage was unlike anything ever seen here before. On Tuesday, public officials across the Houston region said they were only beginning to understand the scope of Harvey’s damage and its impact on public services. The county Tuesday was actively relocating the hundreds of employees that work in the criminal justice center, including the district attorney’s 330-lawyer operation. Hundreds of prosecutors and staffers with the district attorneys office, many dressed in T-shirts and shorts, spent Tuesday pulling their personal possessions out of the 20-story downtown criminal courthouse next to the still-swollen Buffalo Bayou. The move is expected to slow the local criminal justice system as everyone involved will have to work from unfamiliar offices and commute to courtrooms spread across the downtown courthouse complex. 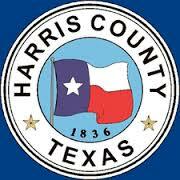 Neither the city of Houston nor Harris County had a detailed accounting of the damage yet, which will include vehicles as well as buildings, plus lots of overtime costs. I suspect that $5 billion number cited above includes private losses, but it’s not clear to me. The point is that in the short term, a lot of the federal and state relief money needs to go towards paying the workers who did their jobs so heroically during the storm and its aftermath, and towards getting these damaged institutions back up and running. The alternative is a huge amount of debt, and we’ll all pay a lot more for that.